Australian Kmart stores are pulling copies of Grand Theft Auto 5 off their shelves following a petition from customers complaining about the game’s depiction of violence against women. Kmart is following in the footsteps of Target, which has also had its stores take copies of the game off the shelves. The store issued an apology to customers for stocking the popular Rockstar title in the first place. It makes sense that Kmart followed Target’s decision as both stores are owned by the Wesfarmers retail group. The petition that led to Target's initial decision was launched by female survivors of violence and listed on change.org. 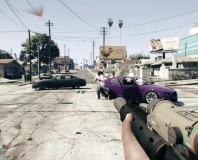 The aim was specifically to get the game removed from Target and the campaign gathered more than 40,000 supporters. Grand Theft Auto 5 does sport Australia’s R18+ certificate which is still a relative novelty for video games in the market. Up until January 2013, the adults only classification could not be applied to video games. 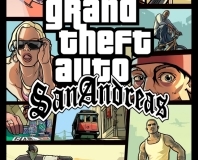 The latest Grand Theft Auto title has been out for the Playstation 3 and Xbox 360 for more than a year now and a version for Playstation 4 and Xbox One was released in November, bringing the game back into the focus of the media. A PC version is planned for January 2015. Exclusive to next-gen, PC ports.